Travel hands-free with RetraStrap. It is an adjustable suitcase strap that you wear around your shoulder and you’re instantly handsfree for the rest of the trip. 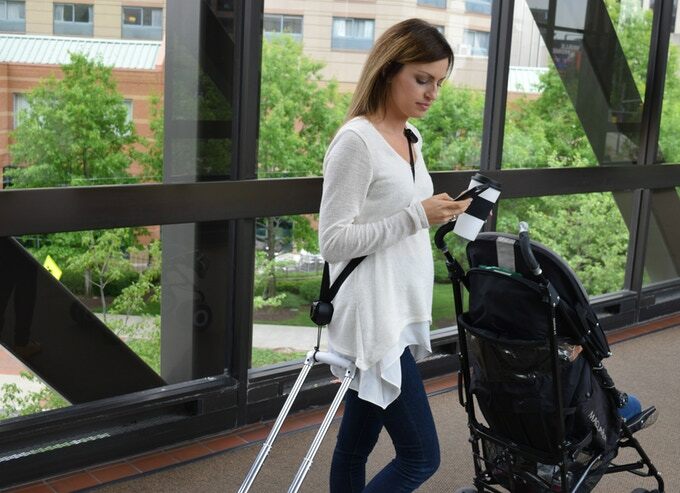 Finally use your hands to enjoy a cup of coffee, talk on the phone, text, push a stroller, hold other items, or simply relax. You are no longer a prisoner and handcuffed to your bags. The best part is that you can relax your arm, neck and shoulder muscles and joints from constantly tugging your carry-on in the same twisted position throughout your trip. The elasticity of the attachment works as a shock absorber and it stabilizes the handle and prevents wobbling. And because it’s always physically attached to you, it makes it difficult for others to steal your bag. Adjustable depending on a person’s height and easy to put on/take off. Travel can be tough. Pulling heavy suitcases with one hand is even tougher. Why not ease up the traveling experience with the RetraStrap? This unique adjustable strap that you wear around your upper body could really save a lot of people from back and shoulder issues associated with traveling. 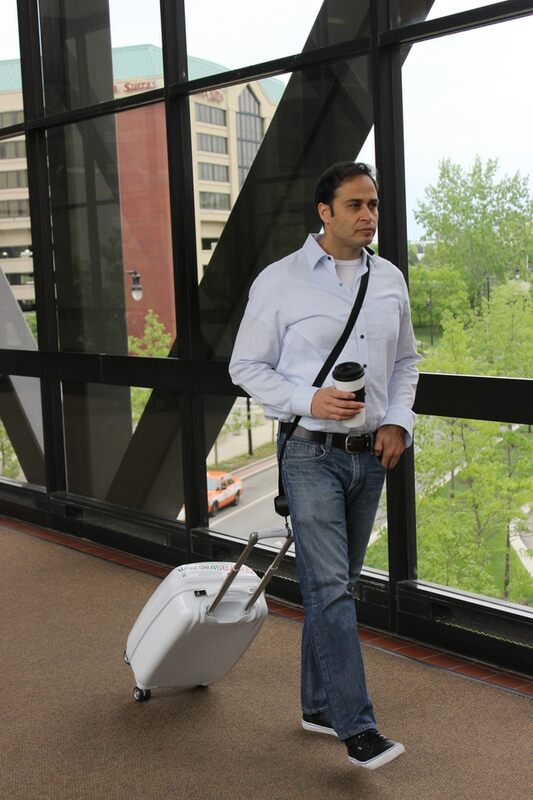 The strap attaches to your suitcase where you are able to walk hands-free. This means you can walk with proper posture and your suitcase travels right behind you like you are walking a loyal dog. Best part is that your suitcase is always physically attached to you, which prevents you absentmindedly walking off without it or being stolen. What did you think of this invention? leave your comments below.